It’s no secret. I LOVE Doctor Who. But there’s a limit to how many TARDIS creations I can make. So when I saw the blog post on how to make some weeping angels out of Barbie Dolls, I absolutely HAD to make them. They are simply the most creepy villain in the entire whoverse, and the only ones that really give me the creeps. Every time I see an episode with them, I wonder how the Doctor will get out of it, because how do you fight something that can stay alive if you’ve just seen them? I think maybe the next time the Doctor turns up, he won’t be so lucky. 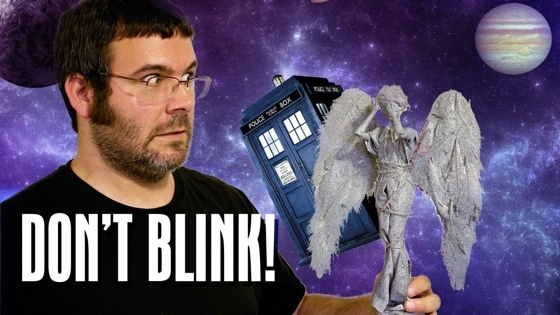 In anticipation of Doctor Who’s 8th season, I’ve decided to make one of the most frightening villain of them all, the weeping angels! These things should under no circumstances be allowed loose, and if you do make your own, be sure to keep an eye on them.